This was a big day for some of those who think they can become the next president, leading Democrats making appearances around the country today as another officially enters the race. White House correspondent Kelly O'Donnell has more. Kelly, good evening. Good evening Jose. Add another top-tier Democrat to the 2020 mix, the ballooning field of candidates who hope to win their party's nomination and then battle their way here to the White House. Now formally includes Elizabeth Warren, the two-term Massachusetts senator defined her candidacy as a system-wide fight for economic opportunity racial and gender equality. 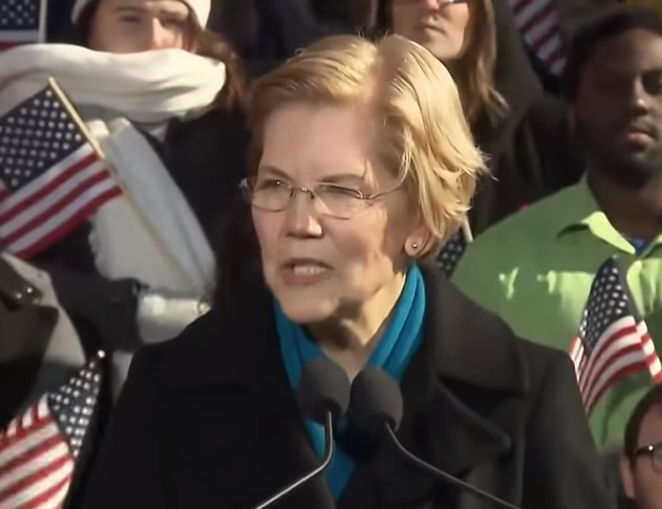 Warren's crowd of supporters weathered below freezing temperatures in the mill town of Lawrence today to hear the former harvard law professor make it official. This is why I stand here today to declare that I am a candidate for president of the United States of America. There was a bitter wind chill coming from the president's reelection campaign, hitting Warren in his statement that accused her of fraud over claims of her Native American heritage and argued voters would reject her"socialist ideas". Tomorrow its Amy Klobuchar's turn, the Minnesota Democrat and former prosecutor is expected to jump in the race at a rally in Minneapolis Sunday afternoon. Her advice to supporters, bundle up. Critics of the Forum accuse it of being too closely associated with business interests. The number of attacks is expected to rise as the seas become calmer after the summer monsoon season.